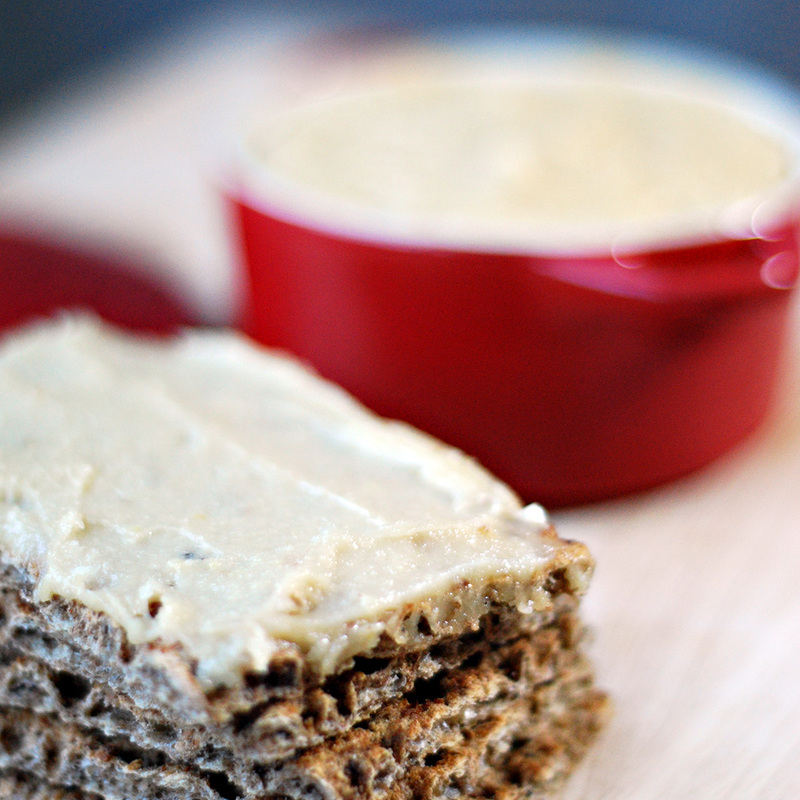 This cream “cheese” is tasty and nutty with a touch of sweet from the pine nuts. You can use it as an ingredient in another recipe, on wraps or a simple cracker. It doesn’t taste like a regular cream cheese so it can also be used for canapes in dinner parties. It lasts for one week in the fridge. Mouth watering good, you will certainly impress all your friends with this beauty! In a food processor or blender, finely grind the pine nuts and cashew nut. Add the lemon juice, miso and salt and beat until very creamy and smooth. In a small saucepan, whisk together the milk and cornstarch. Put the pan over medium heat and whisking constantly bring the mixture to a boil. As soon as it boils, it will be very thick. Cook for a few seconds, then quickly scrape the mixture into the blender with the nuts and blend until the mixture is very smooth. You will process it for at least 5 minutes. Transfer the cream “cheese” to the oiled ramekin and cover. Refrigerate for about 4 hours before serve. I’ve used my Optmium 9400 blender to make this recipe and it took only a few minutes.